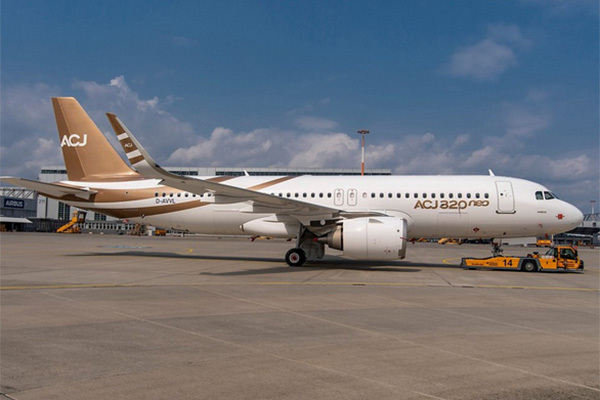 Airbus has assembled its first ACJ320neo on schedule, fitted with CFM International LEAP-1A engines and painted with the Airbus Corporate Jets livery in preparation for a first flight in the coming weeks. Like the airliner versions from which it is derived, the ACJ320neo Family features new-generation engines and Sharklets, saving around 15 per cent in fuel and delivering a leap forward in inter-continental range. Featuring the widest and tallest cabins of any large business-jet, the ACJ320neo Family delivers similar operating costs and better residual value, while being about the same size.